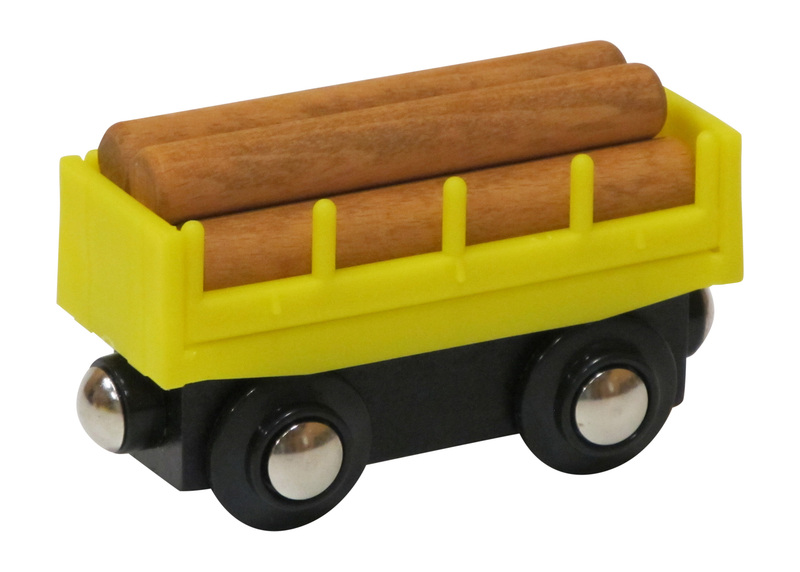 Each Log Car wooden train comes as shown and the logs are removable. Approx. 3" long. Round magnetic couplers are compatible with Thomas Wooden Railway, Brio, and many other wooden train systems.